You must be knowing that you can use four DC Motors for making a 4 wheel drive of a Differential robot. 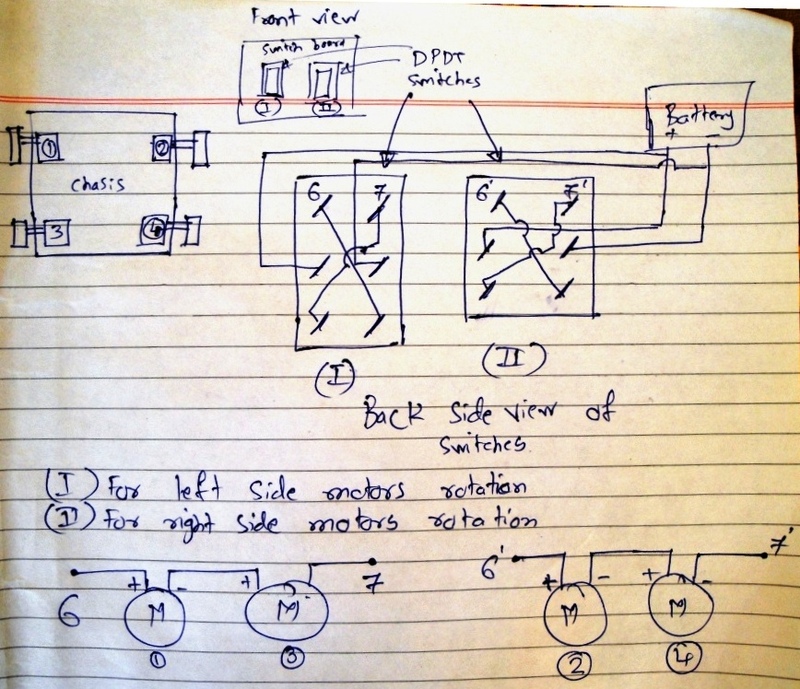 FOLLOWING IS SHOWN A – Circuit diagram for Differential robot for 4 wheel drive. Brother! you can search such things on other websites who are totally dedicated for research papers!